Myth No. 7: The office of Vice President is a ceremonial office whose primary duty is to replace the President in the event of death, incapacitation, or removal from office for other reasons. “The Vice President of the United States shall be President of the Senate, but shall have no Vote, unless they be equally divided. The Senate shall choose their other Officers, and also a President pro tempore, in the Absence of the Vice President, or when he shall exercise the Office of President of the United States“. ~Constitution, Article I, Section 3, Clause 6-7. If we still operated under the original Constitution (1789 – 1804), John McCain would be the Chief Executive Officer of the Senate. If we still operated under the Constitution from 1804 to 1913, Joe Biden would be the Chief Executive Officer of the Senate but its membership would consist of Senators chosen by the legislatures in each of the fifty states. In either case the political outlook for America would be quite different from what it is today. The Senate, as originally constituted, before the rise of organized political parties, provided the balance between the powers of the Executive Branch and the Legislative Branch and between the powers of the federal and state governments. Whether the Twelfth Amendment that changed the way Vice Presidents are elected and the Seventeenth Amendment changing the way Senators are elected, improved on the original structure of government is yet an open question. In any large organization of humans there will always be at least two points of view on any subject. Furthermore, they will usually be somewhat evenly divided. This seems to be true of human nature in general and has little to do with politics or political parties. Prior to the formation of political parties and the ratification of the Twelfth Amendment in 1804, the Constitution assured the President of the Senate would always represent an opposing view to that of the President since the person holding that office would always be the President‘s chief political rival. In the election of 1796 John Adams, founder of the Federalist Party, after serving eight years as Vice President under President Washington, received the majority of electoral votes to become President. 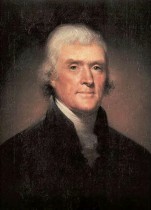 Thomas Jefferson, founder of the Democratic – Republican Party, received the second highest number and became the Vice President. The conflict between the two parties, and between the President and Vice President was so intense during the Adams administration that after Jefferson was elected President in 1801 to succeed Adams, the Twelfth Amendment was proposed and ratified. The purpose of the Twelfth Amendment was to guarantee that the President and the President of the Senate would be of the same Party. This arrangement made for a more amiable relationship between the Senate and the President but tipped the balance of power in favor of the Executive Branch. A second unforeseen consequence of having the President of the Senate of the same Party as the President was to encourage ambitious Vice Presidents to consider the office primarily as a possible stepping-stone to the Presidency. With an eye on the next election, the Vice President was further encouraged to keep a low profile during his term in office and avoid controversy. This led to the custom of considering the office of Vice President as a ceremonial one whose primary responsibility was to replace the President should he become unable to serve, and to count the electoral votes every four years. There are a number of reasons to believe the Framers intended the office of Vice President to be the Chief Executive Officer of the Senate performing many of the functions performed today by the Senate Majority Leader. First is the choice of the title “President of the Senate”. In both private and public organizations the title of President always presumes the possession of executive authority. In major corporations the President often carries the title of Chief Executive Officer as well as President and in almost all cases it is the President that has the responsibility for day-to-day operations. Second is the stature of the person himself. Under the original Constitution the Vice President was the person who received the second highest number of votes for President. This meant that he was the second most important political figure in the country. 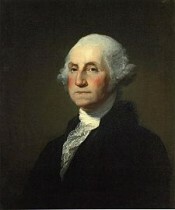 It also meant he was the second most popular with the citizens and legislatures of the states. It is not reasonable to believe that the Framers would have relegated someone with that stature among the public, and that much leadership ability, to a position that was intended to be merely ceremonial. Third is the nature of the office. There are only three constitutional offices in the Legislative Branch. One is Speaker of the House. The second is President of the Senate. The third is the President Pro Tempore of the Senate. Of the three, only the President of the Senate is elected nationally by the people. The Senate is the more prestigious of the two houses of Congress, with Senators’ term of office three times longer than House members and 50% longer than the President. Furthermore, the unique duties of the Senate are of more long term consequence to the welfare of the country than are those of the House of Representatives. The Senate is responsible for ratifying treaties, confirming the appointment of Supreme Court Justices and other appointees of the President and for trying all impeachments. All of these actions are permanent and cannot be repealed or challenged. Considering the gravity of the duties of the Senate, it is not reasonable to believe that the Framers would specify a Constitutionally mandated officer as leader of the House but make the President of the Senate a figurehead position only. This view is further strengthened by the fact that at the time the first Congress convened there were no majority leaders in the House or Senate since there were no organized political parties. The offices of minority and majority leaders were not officially created until 1921 for the Democrats and 1925 for the Republicans. Their primary political responsibility was to maintain party discipline. To do this they relied on their leadership skills and the power of persuasion. These positions were created by political parties, not the Founders. Constitutionally, the office of President of the Senate is analogous to the office of Speaker in the House of Representatives. While the Constitution gives both houses of congress the power to add any officers they deem necessary it does not authorize those officers to usurp the authority of those created by the Constitution. In the 111th Congress Steny Hoyer is the Democratic majority leader in the house and John Boehner is the Republican minority leader. Nancy Pelosi fills the Constitutional office, Speaker of the House. In the Senate, Harry Reid is the Democratic Majority Leader and Mitch McConnell is the Republican minority leader. Since Vice Presidents, by custom, neglect to fulfill their Constitutional duties as President of the Senate, that power is usurped by the Majority Leader.